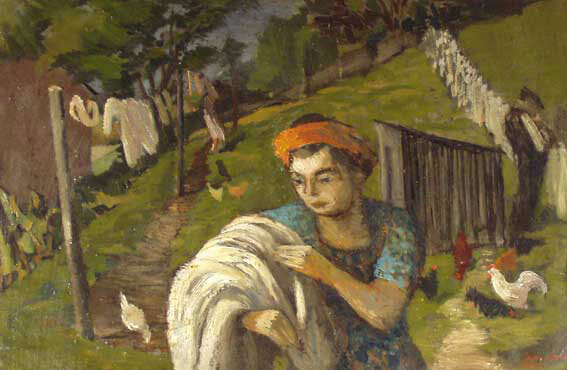 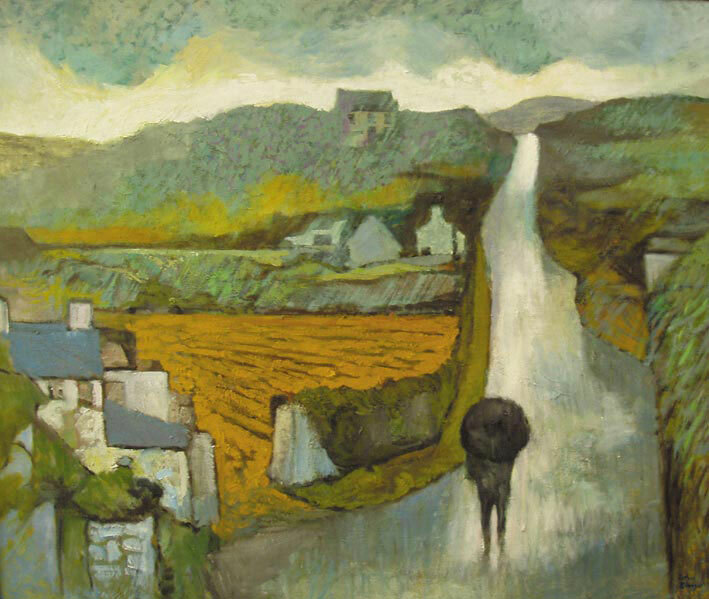 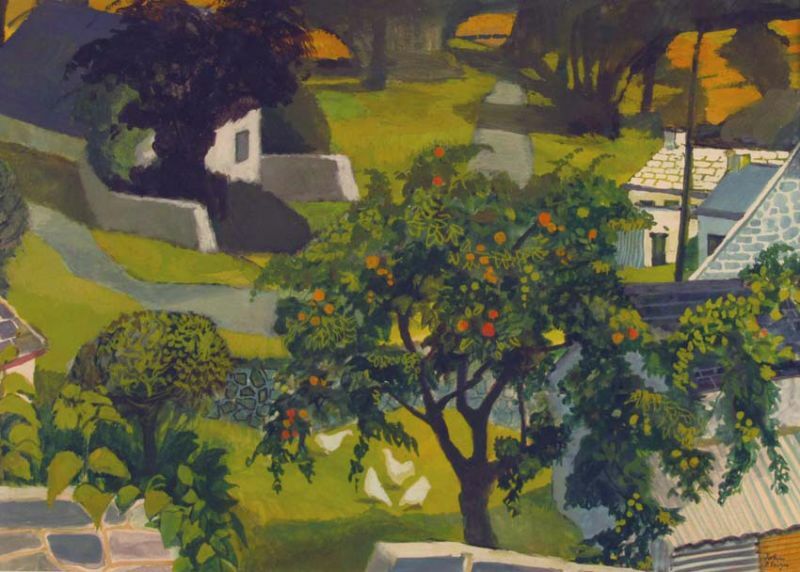 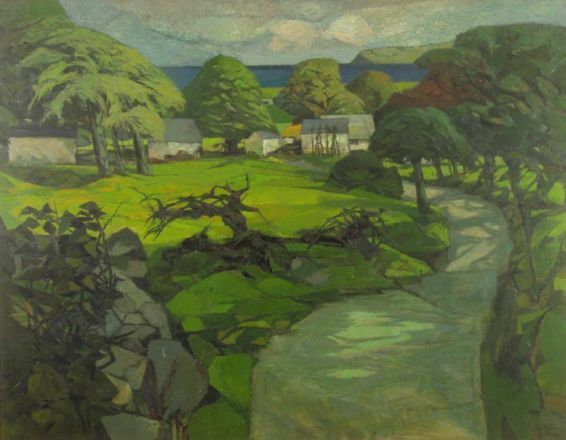 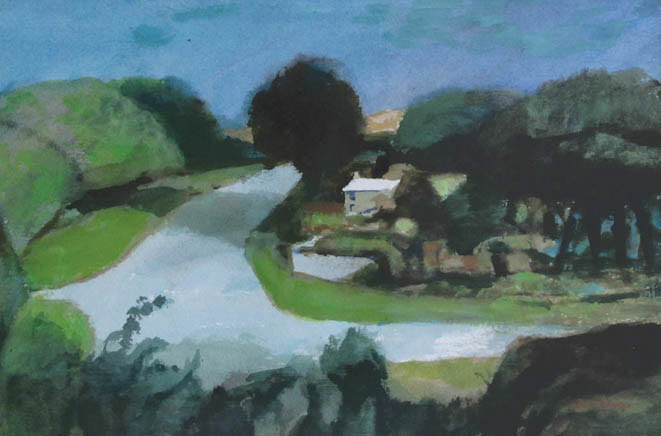 John Elwyn was born in Cardiganshire in 1916. 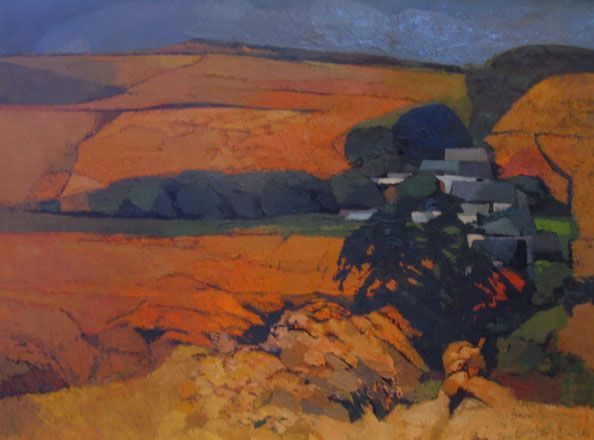 He trained at Carmarthen School of Art and the Art School of the Royal West of England Academy, Bristol from where he won a Royal Exhibition Scholarship in painting to the Royal College of Art, London. 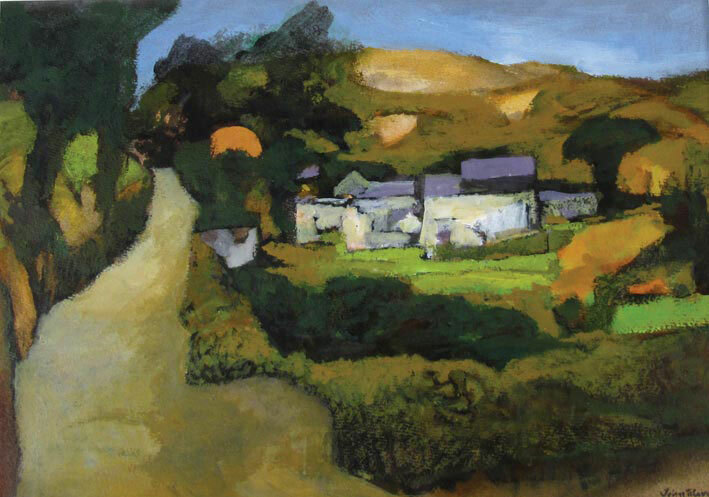 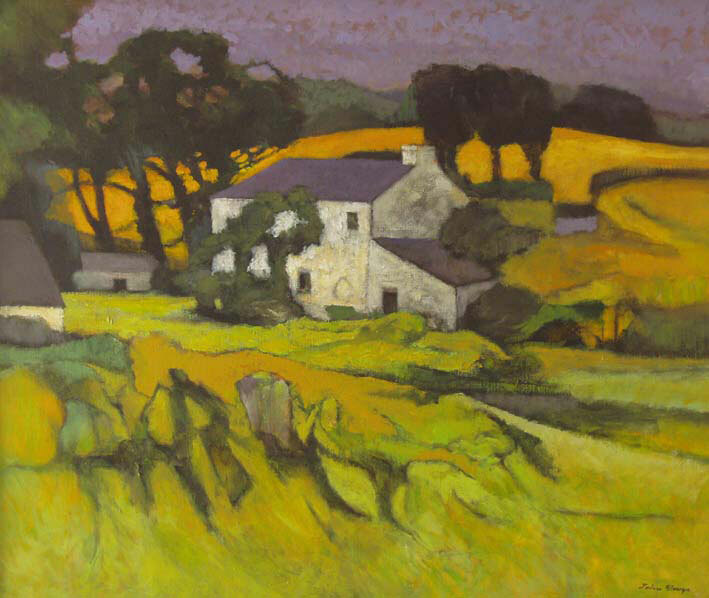 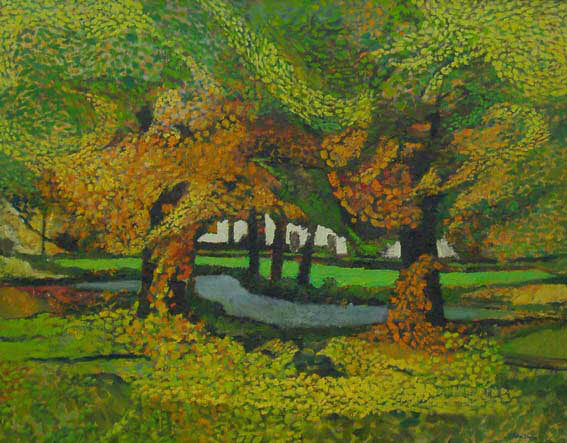 His paintings are evocative interpretations of the landscape and people of his native south Cardiganshire. 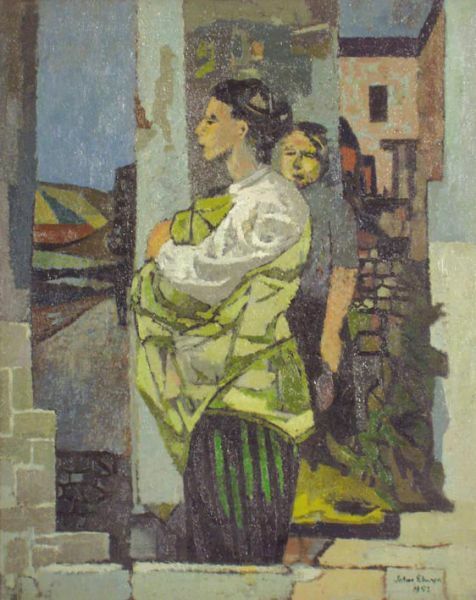 He won the Gold Medal for Fine Art at the 1956 National Eisteddfod of Wales.